The Vancouver International Film Festival takes place at the end of September and throughout a lot of October and it caps a series of international festivals jam-packed with Japanese content. It has a great selection of shorts and features with many different types of titles on offer for festival-goers – a strong programme of dramas are a highlight thanks to the festival’s traditional Dragons & Tigers section which is programmed as ever by Asian cinema specialist Tony Rayns. The highlights are many and I think that this is my favourite looking line-up of films out of all but Japanese cinema specialist festivals like Nippon Connection, Japan Cuts, Camera Japan and Rotterdam. To the programmers at Vancouver, well done. You’ve made a great selection of films. To the reader, I hope you find something you enjoy! Synopsis: 29-year-old Sachi Kouda (Ayase), 22-year-old Yoshino Kouda (Nagasawa), and 19-year-old Chika Kouda (Kaho) live in a house once owned by their grandmother in Kamakura. Their parents are divorced, their father having left them fifteen years ago. When they learn of their father’s death they decide to attend his funeral where they meet their 14-year-old sister Suzu Asano (Hirose) who has nobody to care for her. Sachi invites her to join them in Kamakura. 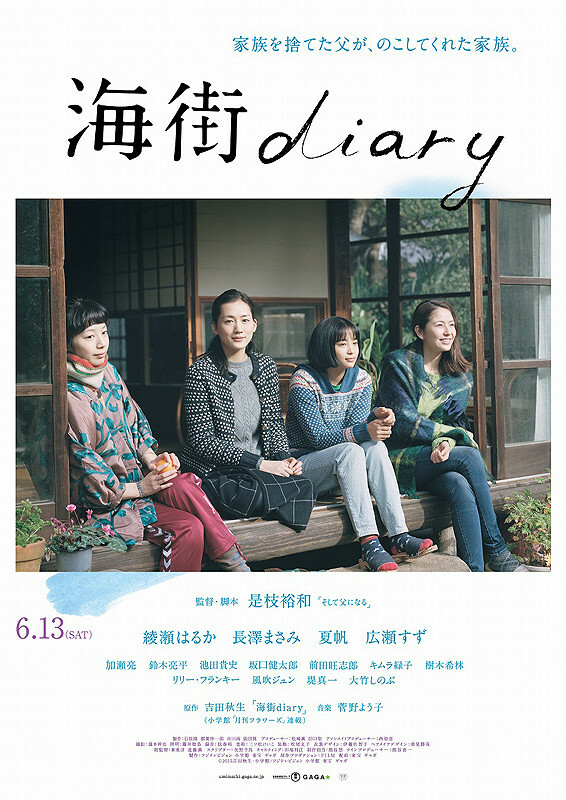 Synopsis: Ichiko (Ando) is a hikikomori who lives at her parents’ home but that situation changes when her younger sister divorces and moves back with her child. Ichiko and her sister’s relationship is pretty rocky and the two fight which makes Ichiko move out and find a place of her own. She takes up a job in a 100 Yen shop but is still pretty miserable with her new life and stuck with unpleasant people for co-workers but while working at her store she keeps encountering a middle-aged boxer (Arai) who practices at a local boxing gym. She is attracted to him and the two start a relationship which will fuel the continuing change in her life. This one was programmed for the UK’s Raindance Film Festival but I won’t be going to see it due to time/money constraints. It’s a decision I feel like I might regret since it is the latest work from Masanori Tominaga, director of the rather good Vengeance Can Wait (2010) and it stars Takahiro Miura, a rising talent. It’s a dark dramedy which takes a dip in the sleazy end of the entertainment world and drags the audience into a twisted tale of voyeurism and crime and nasty characters who blackmail, double-cross ad hurt each other to dramatic and darkly comedic effect. Synopsis: The story takes place in a city called Mito and it concerns a former teacher named Gondo (Yohta) who was bounced from his job when it was discovered he secretly filmed in the girls’ locker room. At rock-bottom and ditched by his girl Mihara, he bumps into a student named Kanichi (Miura) who soon strikes up a relationship with Mihara. This slightly testy mix becomes explosive when Kanichi tells Gondo that Tomomi, one of the girls in his videos is now an idol. Gondo hatches a blackmail plot with an illicit recording at its centre. The Man from Reno is an intriguing little neo-noir title that reverses the gender roles and has the guy playing the beautiful dame luring our female hero into danger. It’s an American film with a heavy Japanese influence and a lot of Japanese actors. It has been out and about in various festivals where it picked up a lot of great reviews. Synopsis: A Japanese bestselling crime novelist visiting San Francisco finds herself embroiled in a real life mystery after a night with a handsome stranger. The man–Japanese and supposedly from Nevada–disappears the next morning, after which increasingly strange and dangerous events begin to occur. This one is a Japanese-Korean co-production that has garnered some great reviews. 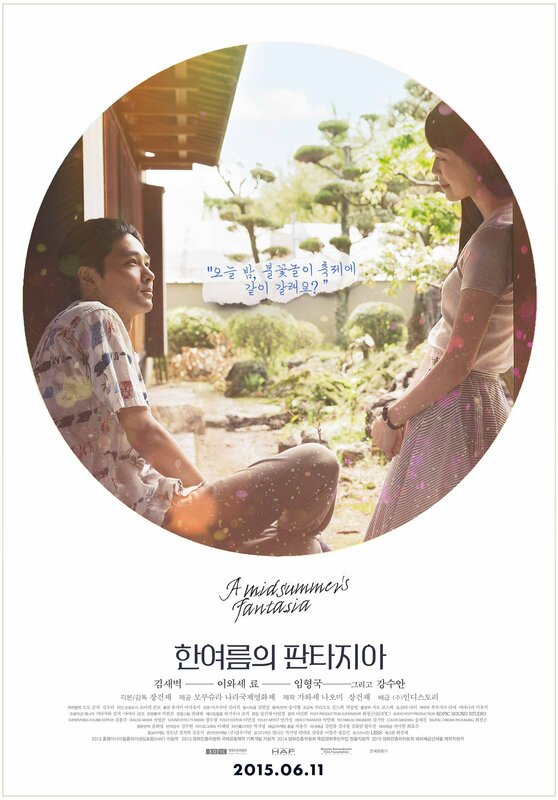 It is directed by indie kid Jang Kun-Jae and it is described as having scenes reminiscent to Richard Linklater’s film, Before Sunrise (1995). This Screen Daily review should convince you of its worth. Synopsis: The first part of the film, shot in monochrome, is about a “Korean director who is preparing to shoot a film in a remote area of Japan. The second half shows the results of the film shoot in colour: a moving retrospective of a possible love between a guide and a female Korean visitor. The Name of the Whale was at this year’s Pia Film Festival and it hasn’t shown up at any other festival I have written about which is a surprising since it looks better than some of the other films I have seen – post-rock music, beautiful visuals, a laid-back feel and naturalistic acting. I guess film is too indie. Synopsis from the festival page: Shot in Miyoshi and nearby Hiroshima, Fujikawa’s exquisitely crafted film is a kind of prologue to a coming-of-age story. Junior-high-schooler Yuta lives alone with his mother in sleepy Miyoshi; his grandmother recently died and his grandfather is seriously ill in a Hiroshima hospital. His school assignment for the summer is to find fossils of ancient whales and shellfish, plentiful around the town’s Saijo River, and he’s helped by friends Sanshiro and Naito. (Sanshiro has also been cast as a masked dancer in one of the town’s festivals.) Nothing earth-shaking happens that summer, but Yuta does experience some formative changes. Yuta’s mother takes a new partner, one friend moves away to live with his divorced father, and Yuta impulsively runs away to visit his dying grandfather. The non-pro cast is great, and so is the integration of documentary elements. But the real star is Fujikawa himself, showing real mastery of his medium. 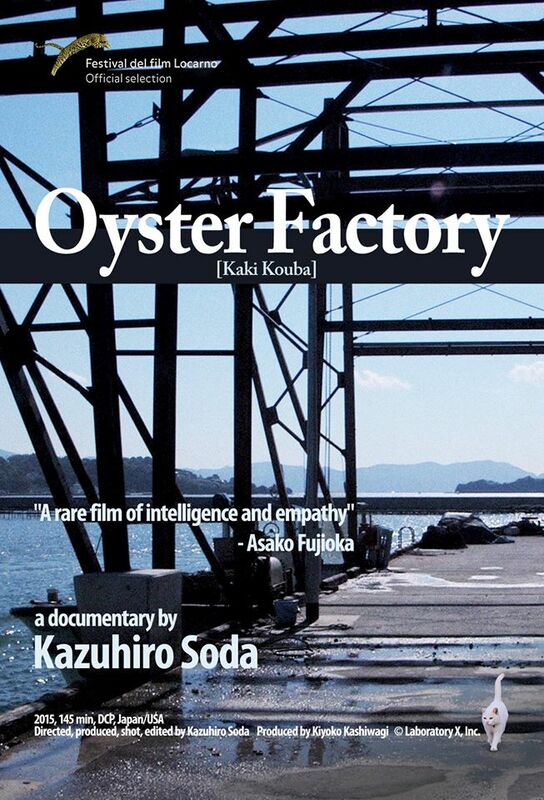 This two hour plus documentary ostensibly looks at life inside an oyster factory but takes in the lack of young people entering the works, the generational divide and Chinese-Japanese relations as Chinese workers are brought in to help keep an oyster factory running. 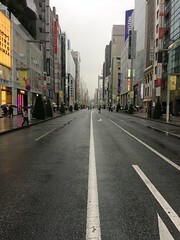 Synopsis from the film’s website: In the Japanese town of Ushimado, the shortage of labor is a serious problem due to its population’s rapid decline. Traditionally, oyster shucking has been a job for local men and women, but for a few years now, some of the factories have had to use foreigners in order to keep functioning. Hirano oyster factory has never employed any outsiders but finally decides to bring in two workers from China. Will all the employees get along? Synopsis from the festival’s website: Three protagonists, a bereaved bridge-repairman, an unhappy housewife with creative ambitions and an elite gay lawyer live lives full of love and loss. Their lives are largely separate, but briefly intersect. 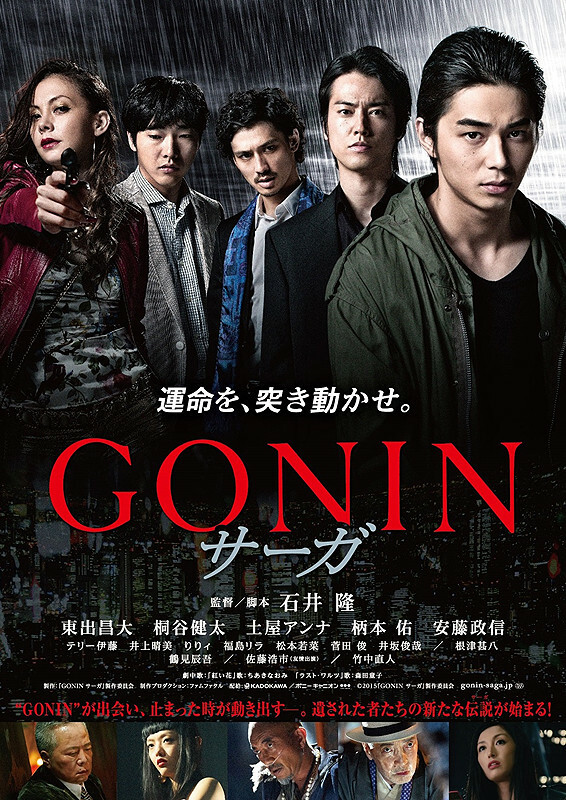 Synopsis from the festival’s website: Ishii Takashi’s Gonin (VIFF 1995) set the standard for neo-noir yakuza movies with its tale of five down-on-their-luck men taking on a powerful yakuza gang, the Goseikai—and facing deadly reprisals. Twenty-years-later, the sequel Gonin Saga brings this story up to date. Several of the original five mavericks had families: Hisamatsu, for example, left a wife and son. 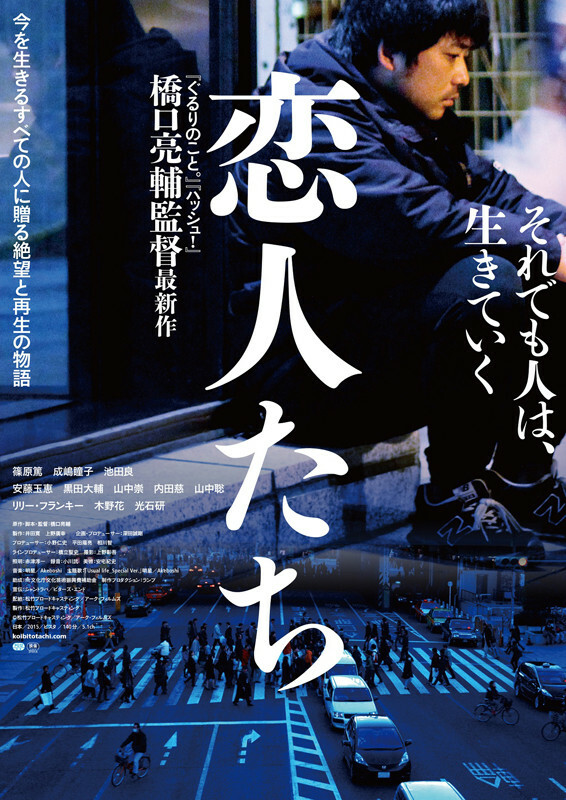 Hisamatsu’s son Hayato (new star Higashide Masahiro) has an honest, crime-free life but is best friends with Ogoshi’s son Daisuke, who’s still working as a bodyguard for the gang. It all kicks off when a reporter asks Hayato’s mother to reveal the truth about the original attack on the Goseikei—and soon history is threatening to repeat itself. There are many short films at the festival all with a seemingly dark bent whether as comedies or dramas. Many of these accompany features such as 100 Yen Love and The Name of the Whale. Omura Plant Specimens (Dir: Natsumi Sato, 19 mins) is all about a girl getting to know her long-dead grandfather through a collection of botanical specimens. It is shown before The Name of the Whale. As is usually the case with Vancouver, there’s a strong selection of animated shorts. A Place to Name (Dir: Ataru Sakagami, 5 mins) features straw monsters attacking an abandoned house and Am I Dreaming of Others, or are Others Dreaming of Me? (Dir: Shigeo Arikawa, 11 mins) explores life, death self and others. Meanwhile, The Console (Mitsuo Toyama, 8 mins) features a rather large and rather dead Grass-hopper getting a send-off from different creatures and Dark Mixer (Dir: Hirotoshi Iwasaki, 5 mins), which is described on its festival page as “Made from 20 loops used in an installation. Dark, indeed.” I have no idea what that means. Veil (Dir: Yoriko Mizushiri, 6 mins) comes from the experienced animator Yoriko Mizushiri and features a story of two people meeting in different environments and negotiating emotional spaces. 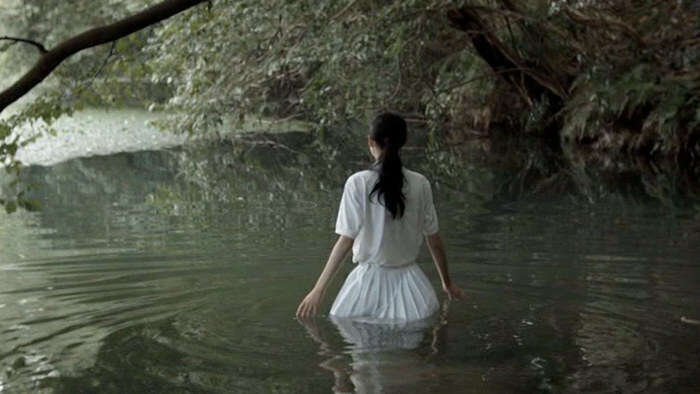 The dark imagination of children is on offer in the shorts Master Blaster (Dir: Sawako Kabuki, 4 mins), which is all about a girl who wants to be eaten imagining what such an experience might be like, and I Can’t Breathe (Dir: Sayaka Kihata, 6 mins), which is all about water externalising what is happening in the mind of a young boy. 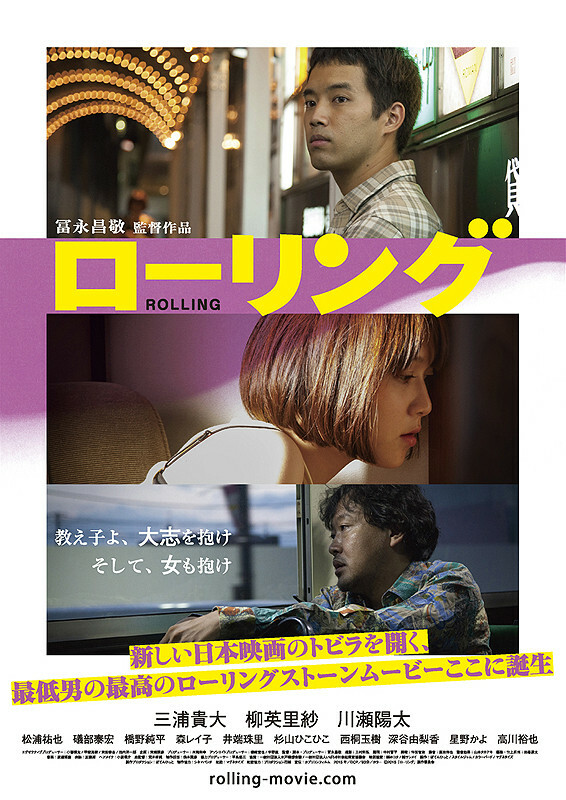 Before Rolling screens, there’s Kim (Dir: Shumpei Shimizu, 40 mins) which is a drama about Kim, a Zainichi (Korean-Japanese) who hates Zainichi. He’s an ex-boxer who was pretty good but is now in debt. According to the festival site, the director, Shimizu is currently in the graduate school of Tokyo University of the Arts and has recently worked as a production assistant on Martin Scorsese’s upcoming Silence. 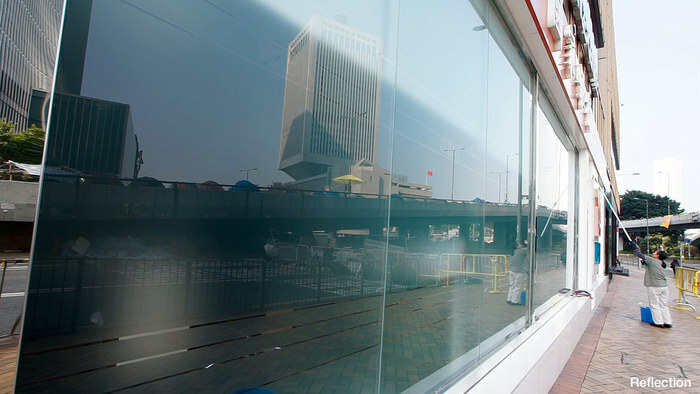 Kim won him the Grand Prix at the Tokyo Student Film Festival. There are also two shorts from that unique auteur Takeshi Kitano – Asa (4 mins) and News (5 mins), which both screen with the feature film 100 Yen Love. And I think that’s it! What a great line-up for the 2015 Vancouver International Film Festival.